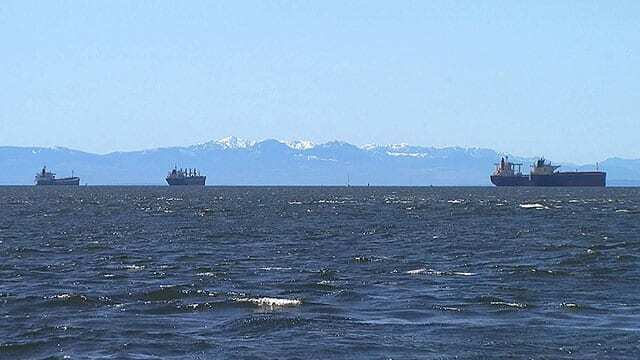 A coastal British Columbia First Nation that experienced a spill of thousands of litres of diesel in its waters is supporting the province’s efforts to create a permitting system for companies transporting hazardous substances. The governments of Canada, Alberta and Saskatchewan have not yet had an opportunity to deliver arguments in court, but they say Ottawa – not provinces – has jurisdiction over inter-provincial projects such as the Trans Mountain pipeline expansion. In court documents, the Assembly of First Nations says the answers to the constitutional questions in the case will have far-reaching consequences for Indigenous Peoples when it comes to natural resources and energy activities on their lands. “The proposed hazardous substance permits must be interpreted in a way that the rights and authorities of First Nation peoples are recognized, respected and part of the construction process,” it says. The City of Vancouver says in court documents that local and First Nations governments are on the front lines of emergency response and will suffer the impacts of a heavy oil spill. “The proposed amendments recognize the important role that emergency preparedness and response planning by local governments and First Nation governments will play in the event of an accidental release of heavy oil and the need to ensure that they are properly resourced to respond,” it says. Joseph Arvay, a lawyer for B.C., told court on Tuesday the proposed amendments only allow the province to refuse to issue a permit or revoke one in cases where the operator fails to follow conditions imposed upon it. He added that if the operator finds the conditions too onerous, it can appeal to the independent Environmental Appeal Board, or in the case of Trans Mountain, the National Energy Board. “The NEB effectively gets the last word … but it’s going to be condition by condition, law by law,” Arvay told the panel of five judges. Arvay said the law would be unconstitutional if it declared an absolute prohibition on pipelines in B.C., but the amendments only impose conditions on trans-boundary projects. The federal government has purchased the Trans Mountain pipeline expansion, which would triple the capacity of the existing line from the Edmonton area to Burnaby and increase tanker traffic in Burrard Inlet seven-fold. Trans Mountain Corp., the Canadian Association of Petroleum Producers, Enbridge Inc., the Railway Association of Canada and the Lax Kw’alaams Indian Band are among those that have filed court documents in support of the Canadian government in the reference case.